Zele International will present next month at the Tokyo Motor Show- Zele R35 GT-R Complete Edition. At a first glance, this “creative” is distinguished by a body painted in an intense orange and endowed with as much carbon fiber. The kit includes aerodynamic Spoil redrawn, thresholds side, front grille, aileron and mirrors, all of carbon fiber. The ceiling is too, too, and carbon rims are of 20 inches, while interior find Recaro seats in Alcantara. More than that, Zele R35 GT-R Complete Edition benefits and adjust and suspension performance braking system, while the maximum power was increased up to 550 HP. 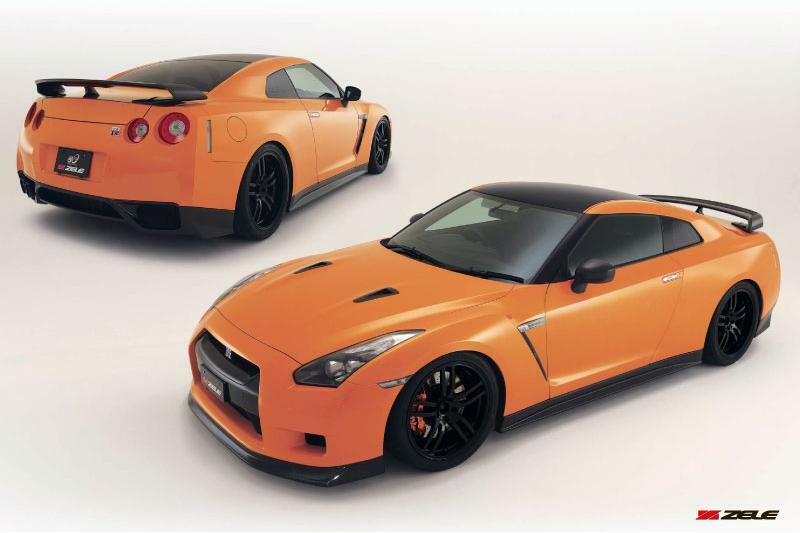 Zele R35 GT-R Complete Edition can be ordered starting with the January 9 and will be built in only 8 copies.